Tyndall National Institute, Ireland, will lead a consortium of European researchers in an EU-funded project to develop intelligent circuits, which can make photonic devices up to five times more efficient, resulting in faster data transmission at a lower cost. The 'Thermally Integrated Smart Photonics Systems' (TIPS) project is funded under Horizon 2020's call for Smart Integration Systems and will see industry and research partners from Ireland, Germany, the Netherlands and France collaborate on the three-year project. With an anticipated 11.5 billion mobile-ready devices in the world by 2020 and the increasing connectivity of those devices through the Internet of Things, current operational bandwidth will be insufficient to cope with Europe's ever-increasing data demands. Significantly more bandwidth is required to avoid bottle-necking Europe's expanding digital economy. Kafil M. Razeeb, senior research scientist at Tyndall National Institute and coordinator of this project explained: "We will seek to develop an intelligent circuit that can thermally control its own operations, making it up to five times more efficient. By precisely self-tuning its own temperature, the device can produce a more precise wavelength, meaning faster data transmission at a lower cost." Tyndall National Institute will work with partners from III-V Lab, University of Hamburg, Alcatel-Lucent Bell Labs Ireland, CNRS Institutes (INL, ILM and IMN), Stokes Institute University of Limerick, LioniX BV, Alcatel-Lucent Bell Labs France, and Communicraft Ltd.
Tyndall National Institute is one of Europe's leading ICT research centres and the largest facility of its type in Ireland. It employs over 460 researchers, engineers and support staff, with a full-time graduate cohort of 135 students generating over 200 peer-reviewed publications each year. 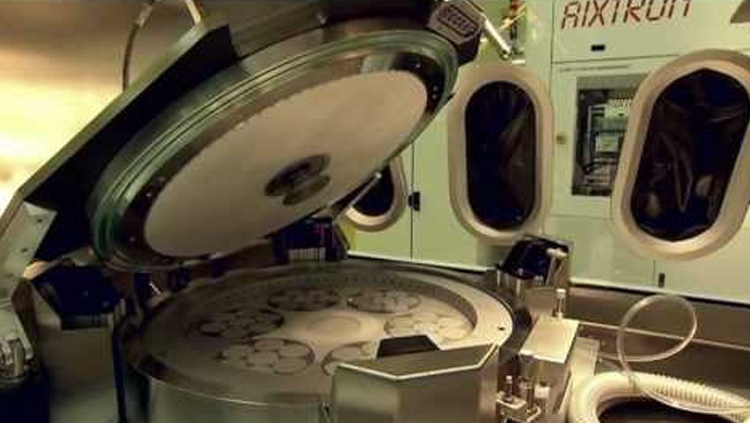 It hosts full CMOS IC construction, MEMS and III-V wafer semiconductor fabrication facilities and services.